Locking wheel nuts and bolts carefully designed with safety and security in mind. HEYNER® offers a wide range of quality wheel locks and replacement wheel fixings. The wheel locks we supply are manufactured to internationally recognised quality and safety standards. Find out more about HEYNER® anti-theft locks for steel and alloy wheels. Spare wheel bags offer a smart solution for storage and transport of your spare wheels. Made from heavy duty material with strong handles- perfect for transporting heavy wheels. Stay tidy and keep your wheels well protected until the next tyre change. HEYNER® wheel bags are available in 2 sizes for smaller and bigger wheels. Our goal is to make travelling with children safe and comfortable. to meet the most rigorous safety standards. What is the "life sector" safety distance between child car seat and front seats? 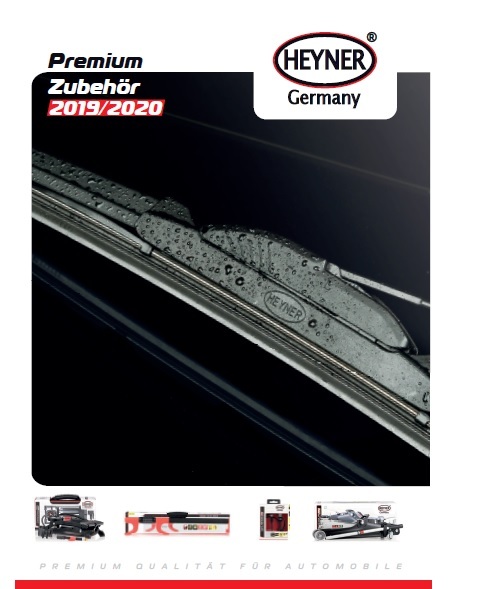 HEYNER® is one of the leading German manufacturers of quality car parts & accessories. We specialise in windscreen wiper blades for cars, trucks and buses. The current product portfolio consists of several hundred products from wiper blades and air compressors through to tools and child car seats. With over 20 years’ experience in automotive industry we deliver the highest quality products to our customers in over 70 countries worldwide.